I was very fortunate to get invited to the the Iron Man 3 premiere. And I was contacted to share some information about some awesome dress up and costumes that are inspired by the upcoming blockbuster. Iron Man 3 Dress Up Kids can suit up as Iron Man with new dress up from JAKKS Pacific! Based on the upcoming blockbuster Iron Man 3, the dress up line features both Iron Man and Iron Patriot Dress Up, which includes body costumes and injected molded masks (SRP $14.99 each). 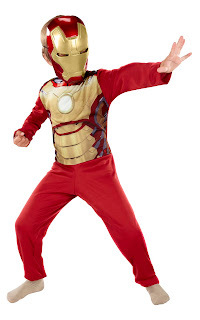 Additionally, a Deluxe Armor Dress Up Set (SRP $19.99), which includes a chest piece, full jumpsuit, shoulder armor and Iron Man mask is available. And for the ultimate Iron Man fanboy, JAKKS Pacific will offer the Hall of Armor (SRP $29.99) set which includes three interchangeable suits and mask. Fits sizes 4-6. 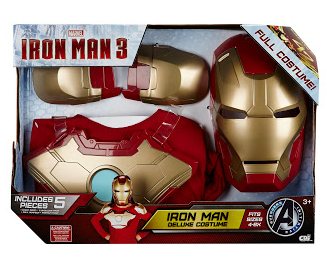 Iron Man 3 Dress Up from JAKKS Pacific is available at Toys R Us, Target, Kmart and Walmart. Iron Man 3 CostumesInspired by the Iron Man 3 film, Disguise, the costume division of JAKKS Pacific, introduces highly detailed costumes based on the iconic super hero. Boys can suit up in the Iron Man Mark 42 Classic Muscle Costume or the Iron Patriot Classic Muscle Costume (SRP $29.99 each). Each costume includes a jumpsuit with muscle torso and arms, and a character mask. Adult fans of Iron Man can also don one of two costumes - the Iron Man Mark 42 Deluxe Adult Costume or the Iron Patriot Deluxe Costume (SRP $69.99 each). The Deluxe Adult Costumes feature a jumpsuit, 3D chest piece with LED Arc Reactor, and a character helmet with an adjustable faceplate. 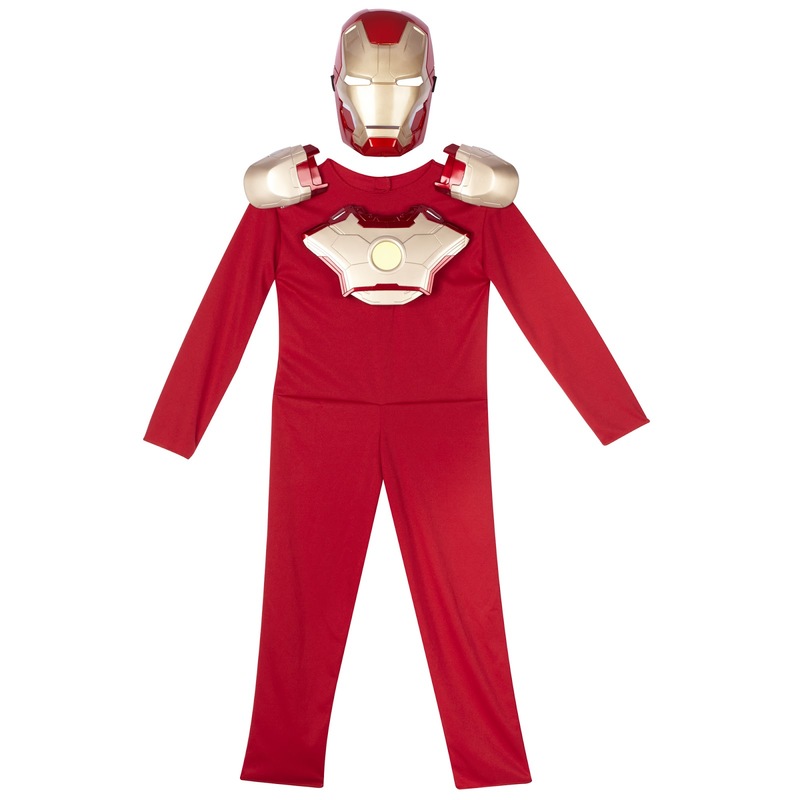 Iron Man 3 Costumes from Disguise are available at ToysRUs.com, CostumesGalore.com, BuyCostumes.com and CostumeSuperCenter.com. The generous folks at JAKKS Pacific are giving one of Susan’s Disney Family readers a chance to win an Iron Man 3 Dress Up outfit! Would you like to win? Please visit the JAKKS Pacific site, take a look around then come back here and tell me something else you like from the site. There are also other ways to enter. Please enter below. You can buy either of these costumes and much more from Disguise they are available at ToysRUs.com, CostumesGalore.com, BuyCostumes.com and CostumeSuperCenter.com. I also like their 16” Big Wheel™ Spin Out Racer for my son! Thanks so much for the fantastic giveaway! I love how they have toys for kids and pets! I love their selection of pet toys!!! I have been looking everywhere for a big wheels! they have one! The big wheels bring back memories. pretty cool.